We recently conducted a survey to investigate current trends, attitudes and behaviours in school communications technology and parental engagement. We received a great response, with over 450 schools taking part and telling us about their school communications. As leaders in the ed-tech industry, it’s important that we stay up to date on the latest trends in technology and parental engagement, and we wanted to share our findings so that you can see how your school compares to others! Of the 457 school leaders who responded, 57% worked in primary schools, 20% for an academy trust and 15% in secondary schools. We also heard from staff working for nurseries and clubs. We asked respondents to tell us about all the software they use, from different suppliers, so the results aren’t only about ParentMail. This provides a valuable insight into all parental engagement platforms and ed-tech in general. 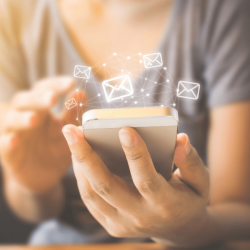 It is evident that email and text platforms are a priority for most schools, with 82% of respondents utilising an email and text system to communicate with parents every day. Also on the up are online payments systems, with 60% using a cashless platform to collect parent payments for school dinners and other school items. Almost 90% of respondents stated they are satisfied with their communications system and almost 80% were satisfied with their online payments system, which means these systems are meeting the needs of both schools and parents. Schools are clearly prioritising parental engagement, which is great news! Experience tells us that when schools prioritise a strong school/parent relationship, students benefit in the long run, and communication is key! 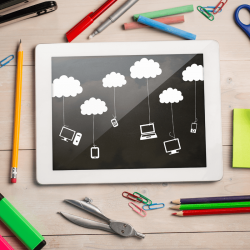 How does technology support schools? We know the priority for most schools utilising an online communications system is to improve parental engagement, and almost 90% of respondents stated they use online systems to improve communications with parents; 67% referred to getting more parents engaged. Modern technology supports social inclusivity, with online platforms enabling schools to keep in touch with hard-to-reach parents like never before. However, with increasing demands on schools to demonstrate efficiency and savings, we recognise the important role of technology in streamlining processes and saving time in the office. Technology is clearly supporting schools to be more efficient, with 69% of schools benefiting from reduced workload as a result of parental engagement systems, and 75% utilising software to improve efficiency in school. 60% of respondents stated they look to online systems to save money. What technology are schools using? Technology can play lots of different roles in schools, whether that’s collecting payments, sending important news straight to parent’s hands, gathering online forms and permissions or arranging parents’ meetings. With so many different systems, we asked you how many suppliers you use to perform different tasks; 56% of respondents use just one system, 27% use two and 18% use three systems or more. With multiple suppliers providing different systems in the school, parents are using the same number of systems to stay on top of school information at home. 62% of respondents believe using multiple systems would reduce the effectiveness of school communications. Experience also tells us that streamlining processes in the school office can protect the school budget, too. Over 70% of respondents stated they regularly look into new methods of communication for their parents. 40% of schools who don’t invest time into looking at alternative systems refer to a lack of resource in implementing new methods. Interesting stuff – thank you to everyone who took the time to take part! If you’d like to discuss how your school could use technology to improve your parental engagement, please don’t hesitate to get in touch.